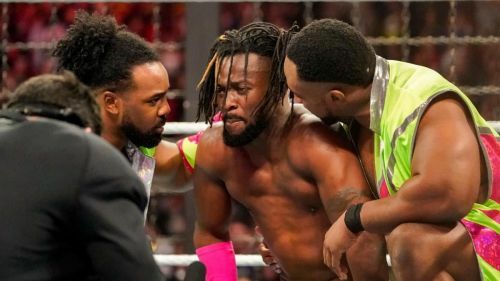 WWE Elimination Chamber 2019 is now in the history books, and on the whole, it was a reasonably entertaining night. SmackDown once again brought their A game in terms of match quality, while Raw's suffering upper mid-card scene continued to stagnate. History was made, however, when Sasha Banks and Bayley became the first ever Women's Tag Team Champions, while Kofi Kingston continued to impress in the night's main event scene. With just over a month to go until WrestleMania, WWE continues to build towards their biggest show of the year. Let's take a look at all of the matches that took place at Elimination Chamber and rank them from worst to best. It feels a little unfair to put this one at the bottom of the list because let's be honest, this was basically more of a glorified angle than a match. Having made incredibly quick work of Ruby Riott, Ronda Rousey had a staredown with Charlotte Flair, which led to Becky Lynch coming down and attacking Flair with her crutches before being arrested. 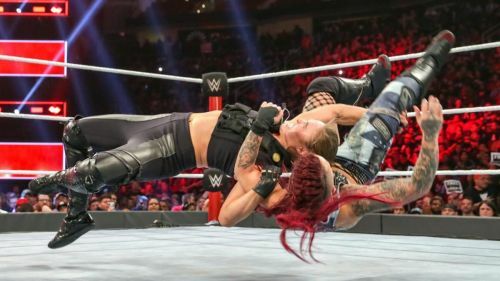 It was an effective way of continuing to build momentum for the women's WrestleMania showdown, but perhaps having a contract signing segment and saving Ruby Riott would have been more useful in the long run.